The woke director behind 'The 40-Year-Old Virgin' has a terrible track record when it comes to diverse casting. Others slated to appear include Laverne Cox, Melissa Etheridge and child actress Storm Reid (DuVernay’s “A Wrinkle in Time”). Apatow’s inclusion here isn’t surprising. He’s embraced progressive activism following the election of Donald Trump. The celebrated director has gone so far as to compare the Trump administration to Nazi Germany. He’s been burnishing his woke bona fides for months, including his attack on Louis C.K.’s politically incorrect routine. Yet a quick look at his film and TV work suggest he might not be the best person to explore racial healing. Few comedy filmmakers wield the clout Apatow possesses. Yet from the start of his film career to his current projects, his casts typically lack people of color. Let’s start with “The 40-Year-Old Virgin.” The 2005 comedy established Apatow as a comic maestro, one who can introduce us to lesser known talent. That film, which he co-wrote and directed, helped establish future film stars like Seth Rogen, Paul Rudd, Steve Carell and Elizabeth Banks. They’re all white, as are co-stars Jane Lynch, Catherine Keener and Leslie Mann. The film’s most prominent black actor, Romany Malco, is part of the main character’s work group. His 2007 directorial follow up, “Knocked Up,” featured even fewer people of color. The movie’s main stars are Rogen and Katherine Heigl. The co-stars? Rogen, Mann, Rudd, Jason Segel, Jay Baruchel, Jonah Hill and Martin Starr. Charlyne Yi, an Asian actress, has a small part. By now Apatow is a superstar, a man who makes movies almost universally criticized as being too long. That didn’t matter. He called the shots and likely cast whoever he liked. His 2009 dramedy “Funny People” similarly featured a mostly white cast. Think Adam Sandler, Rogen, Mann, Hill, Eric Bana, Aubrey Plaza and Jason Schwartzman. Aziz Ansari snagged a modest role, to be fair. “This Is 40” followed suit, starring Rudd and Mann. The film’s cast also included Graham Parker, Megan Fox, Melissa McCarthy, Segel, Albert Brooks and John Lithgow. “Trainwreck” found Apatow directing Amy Schumer’s tart script. The film’s cast featured LeBron James in a small but scene stealing turn. Other cast members? 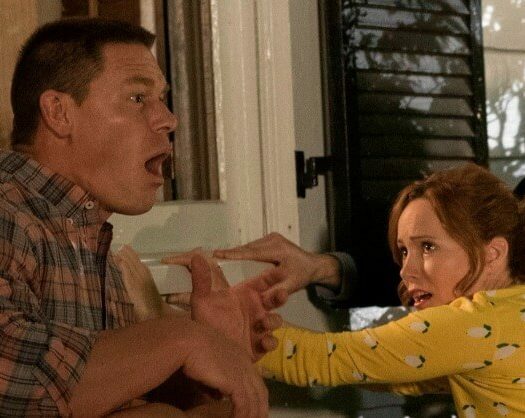 Bill Hader, Colin Quinn, John Cena, Brie Larson and Tilda Swinton. Apatow went on to produce HBO’s “Girls,” the low-rated series featuring star/creator Lena Dunham. That show got pounded for being set in New York City but having few people of color on screen. Only after media outlets shamed Dunham and co. did viewers see any change. His Netflix rom-com series “Love” (he served as the show’s creator as well as writer/producer), focused on a white couple’s romantic entanglements. That show’s cast also proved primarily white despite being set in a diverse city like Los Angeles. His latest producing effort, “Crashing,” also focuses primarily on white characters. Here’s a screen shot from the “cast” portion of HBO’s web site. The prolific creator has produced a crush of comedy projects over the last decade. His 2017 comedy “The Big Sick” features an Indian-American star in Kumail Nanjiani. Other comedies, including “The Five-Year Engagement,” “Step Brothers” and the “Anchorman” sequel again offer mostly white actors. Apatow deserves significant credit for bringing stars like Rogen, Lynch, Hill and others into the mainstream. Each owes a debt to Apatow. He not only spotted their gifts but gave them exemplary showcases for them. So why didn’t he do the same for more minority actors? Malco’s funniest screen role, to date, is “Virgin.” Could more actors of color have benefited from an Apatow film or TV show role? His upcoming livestream appearance may talk up diversity in 2019. Here’s what DuVernay had to say about the event, to be held following Martin Luther King, Jr. Day. Apatow may be part of an emerging conversation. He still had the chance to directly impact racial opportunity in Hollywood but came up short.